Storm after storm has hit Seattle this season, yet this one has city facing one of the heaviest snowfalls in years. The forecast calls for four to eight inches of snow on Feb. 8, 2019. According to reports the storm will pick up its pace Friday afternoon, and carry over into Saturday. A winter storm warning has been issued running from 12 pm Friday until Saturday late afternoon. It is likely that travel will become difficult, cautions the National Weather Service. They went on to say, the snowfall is expected to drop at a rate of one to two inches per hour on Friday causing conditions to deteriorate quickly and making the evening commute worse. 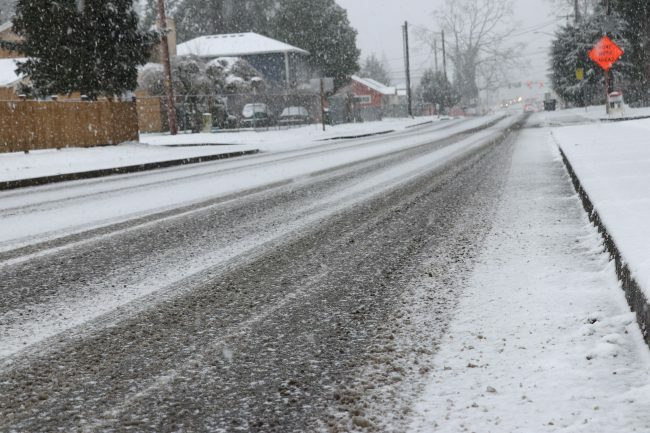 Forecasters are pleading with the locals around the Seattle area to stay off the roads. Seattle is currently running eight degrees below its average temperature for this time of year. However, that is expected to change next week with highs near freezing and the lows into the teens. Widespread wind gusts are expected to be around 50 to 60 mph. The warning issued by the Weather Service is that the combination of wind and snow could lead to reduced visibility starting late Friday night into Saturday.